Andrew Triggs retired the side in the #Orioles first on 10 pitches. Pedro Álvarez, the man the #Orioles DFAed Andrew Triggs for in March 2016, just hit a massive home run off him. Wheels within wheels. They lead 1-0. Alex Cobb, with both hits today accounted for on the ground, now has a league-leading 20 ground balls as hits or errors. And that's with missing two starts. But through three scoreless here on 40 pitches. #Orioles up 1-0. Khris Davis hits an RBI groundout to second to tie the game at one. There is a universe where that's an inning-ending double play. The #Orioles don't play in that universe, so instead Matt Olson doubled off Gentry's glove in CF and they trail 2-1. One of the two runs in Alex Cobb's fourth were earned. Oakland has run into two outs on the bases. 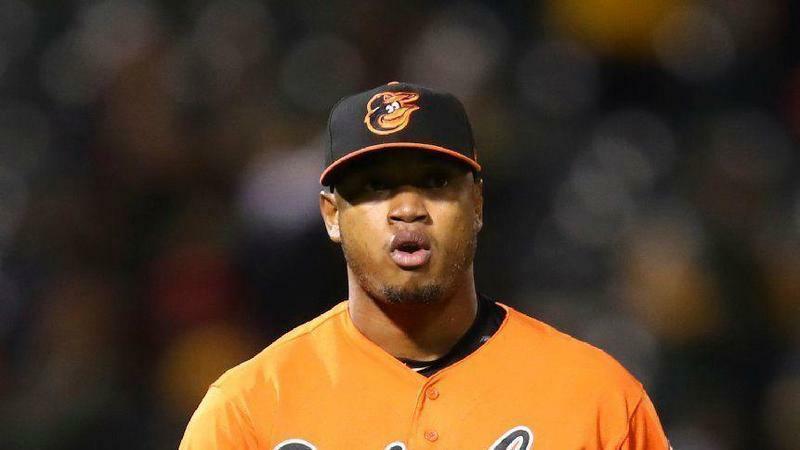 #Orioles down 2-1. Two hits, a Pedro Álvarez home run and a Jace Peterson single, to go along with five strikeouts for the #Orioles . They trail 2-1 in the fifth. 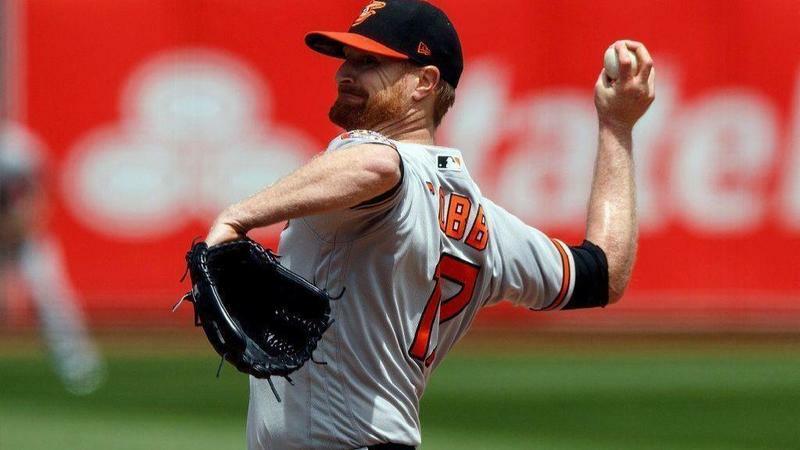 Former #Orioles farmhand Andrew Triggs, who was a reliever then and is a starter now, has retired his last 12 and struck out eight #Orioles . Brad Brach on for the eighth inning after the #Orioles grounded out three times on six pitches in the top half. Trey Mancini with a pinch-hit single for Engelb Vielma, the #Orioles first since the fourth inning. It went about five feet, but it counts. Chris Davis flies out. The #Orioles lose, 2-1. They're swept out of Oakland, and have their second straight 0-6 road trip of the season. They are 8-26. There's a wedding happening here at the Oakland-Alameda County Coliseum, in the visitor's bullpen. Caleb Joseph says "getting your brains beat in every night stinks," but also that the #Orioles are bad in every phase of the game. So there's plenty to work on. Very Vegas: a magic trick goal, no one knew they'd scored but the replay guy. But now the Golden Knights are up 2-0 in the second period.